The big question is: what kind of motivation lies behind such a fundamentally different point of view for a Saint Laurent collection? Some might argue that Hedi Slimane simply wanted to break the rules and therefore attract a lot of attention (which he did without question). But there are also others who insist that he has a point, that even though he isn’t faithful to Yves silhouettes, he is faithful to his attitude as a designer. Both Leandra Medine from the Man Repeller and Géraldine Dormoy from Café Mode are mentioning the 1970s and how Saint Laurent transformed fashion. By bringing the style from the street on the runway, he did nothing less than „democratise fashion“. Another example for his revolutionising spirit could be found in the creation of the first plausible alternative to evening dresses: le smoking. Although there were a lot of question marks floating above my head when I got the first glimpse of the collection, I’m very much curious which steps he is going to take in the future. One must remember that the story of Yves and his house were always strongly intertwined. His travels and experiences were a big influence on the clothes he created and the way his label was shaped. 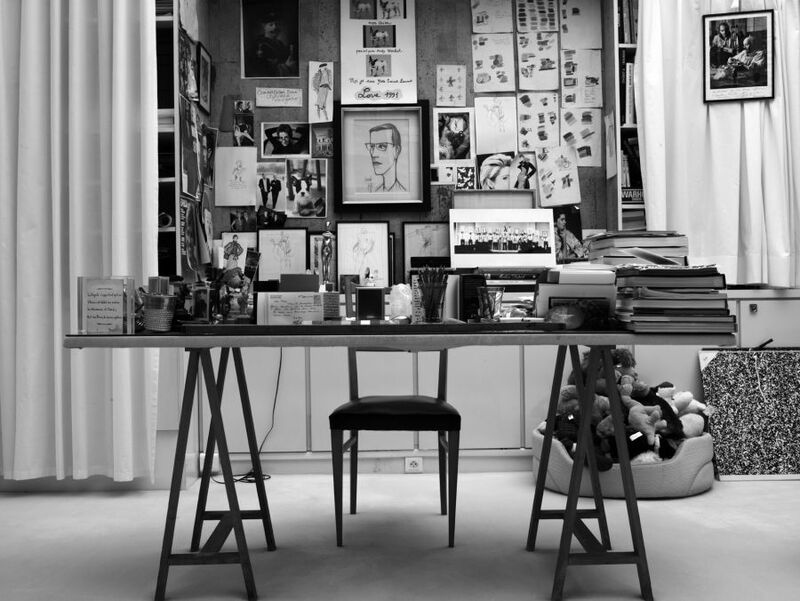 Nothing less is now the case with Hedi Slimane. To mark your own words (and you are such a, and now i’m thinking about the right word, and this is what’s come to my mind, an „elegant“ and intelligent writer, sometimes I have to read it twice before I understand it, but that’s ok Marzena, it’s good for me), but what was i’m saying: oh yes, to mark your own words „he is faithful to his attitude as a designer“. So true!! Happy Easter weekend Marzena with lots of sunshine (and coffee!!) ha! Such a great compliment, Audrey! Thank you so much for your sweet words.